If you’re into Nuggets, Pebbles, The Sonics, The Cramps “Gravest Hits” or 60s garage punk in general then you really should pick up this record, a showcase for 3 japanese bands that take this style and make it their own. You might be tricked into thinking that these might be some long lost (can there be anything left?) recordings until you realize that this music has never sounded that hot before. All 3 groups are great and their contributions are short enough not to bore you. 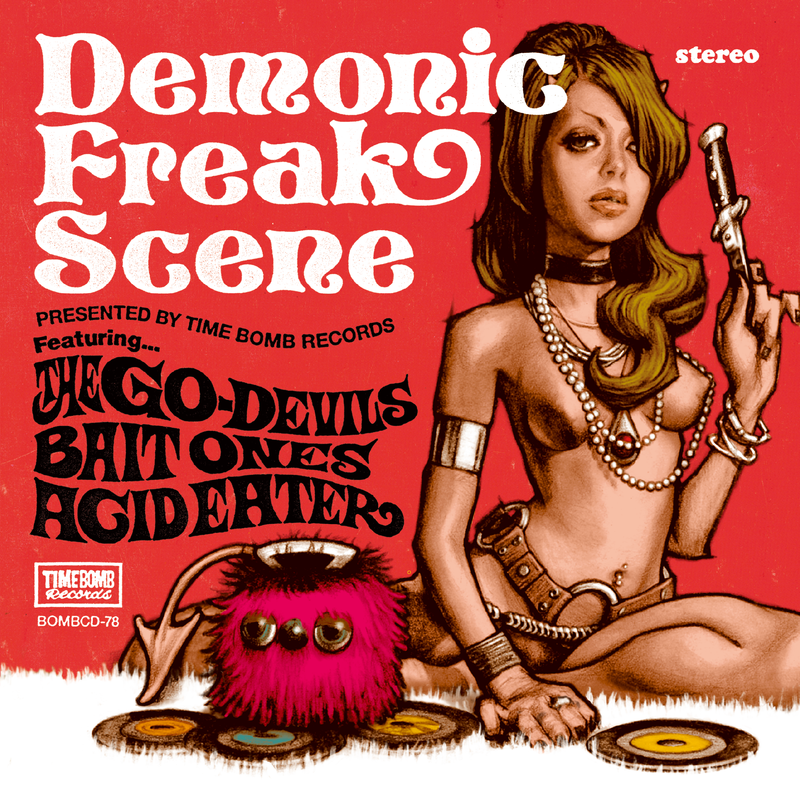 The Go-Devils bit might be my favourite of this compilation while Acid Eater (a mutation from the Christine 23 Onna project) were captured better on their “Virulent Fuzz Punk A.C.I.D.” release.